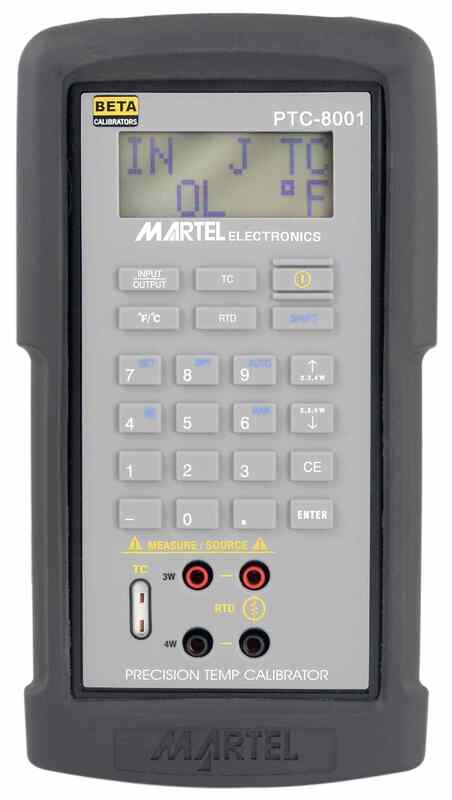 BETA Calibrators, a unit of Martel Electronics Corporation are together the largest makers of instrument calibrators and calibration systems in North America. Their combination of high performance, productivity, and reliability have made them the calibrators of choice world-wide. Multifunction Calibrators: BETA offers a full range or Process Calibrators for Pressure, Temperature, Current, Voltage, Frequency, Resistance and specialty features. 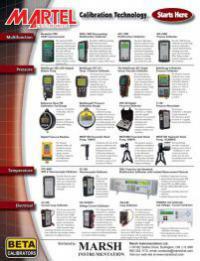 Key models include: the MasterCal 900 Hart Communicator, the most popular MC-1200 Multifuction Calibrator, and the MC-1400 Documenting Calibrator. Please click on the model for full specifications. 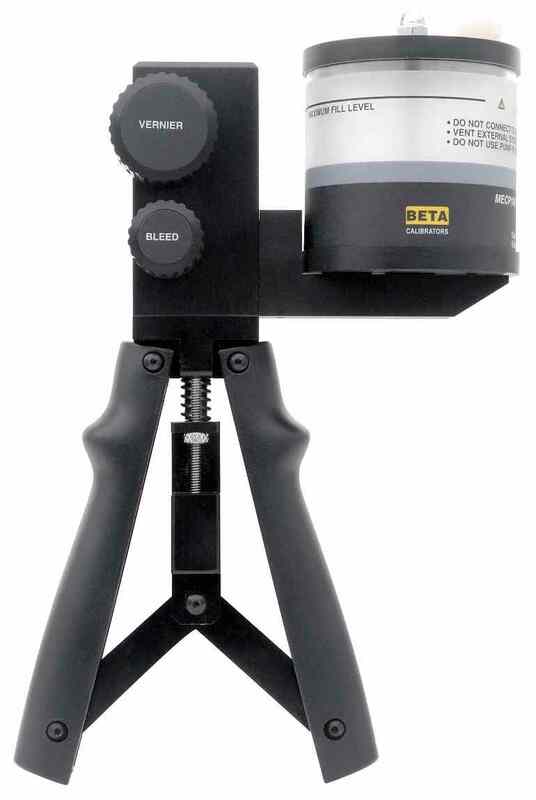 Pressure Calibrators: BETA offers the highest Precision and Accuracy available in a Hand-Held Instrument. Pressure calibrators include models with single and dual sensors as well as temperature input for mass flow and gas custody transfer calibration applications. The NEW BetaGage 330 offers complete prerssure and temperature calibration capabilities with integral electric pressure pump. Other popular models are the BetaGage 321 Dual Sensor and BetaGage 311 Single Sensor Calibrator, all with RTD input and a wide range of pressure modules to 10,000 psi. Please click on the model for full specifications. 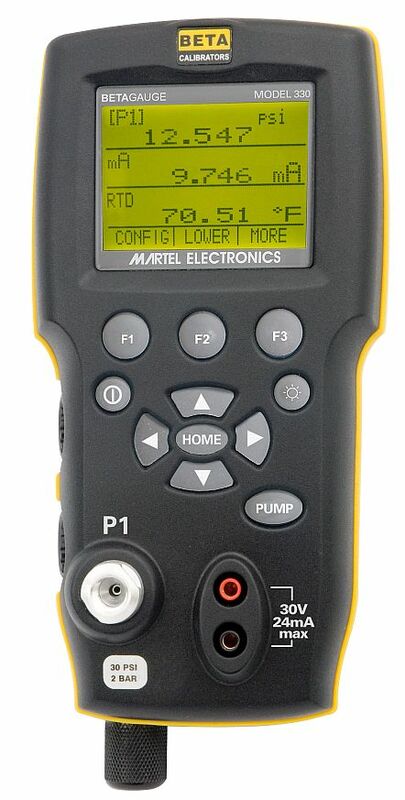 Temperature Calibrators: Models include the PTC-8001 Universal RTD & Thermocouple Calibrator, providing 10 T/C and 8 RTD input types, high accuracy and user defined setpoints for smart transmitter calibration. Please click on the model for full specifications. 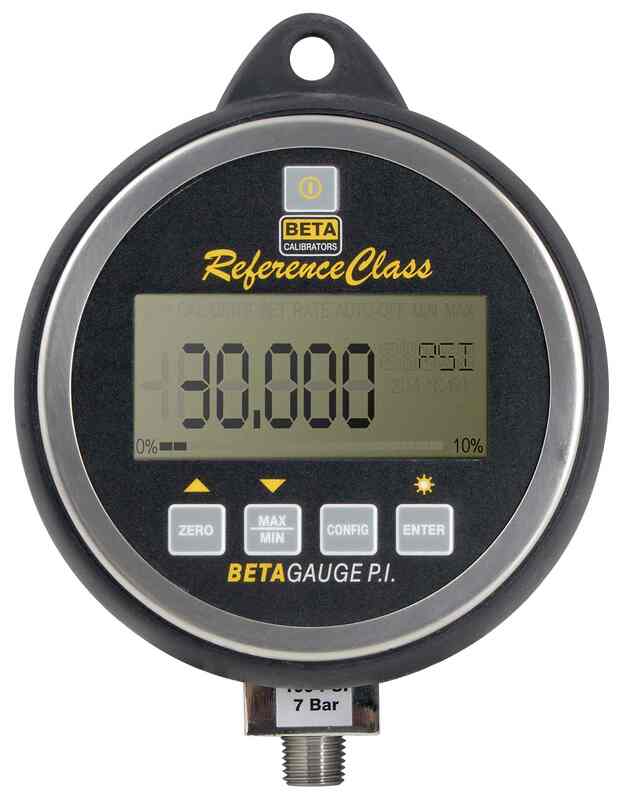 Pressure Gauges - BETA Digital Percision, and Martel Hand Pumps: BetaGauge PI & BetaGage PIR Digital Calibration Gauges combine the accuracy of digital technology with the simplicity of an analog gauge. Available in 0.05% FS and 0.04% of reading (PIR model) accuracies to meet all application requirements. In addition Martel manufacures a broad range Pneumatic & Hydraulic Hand Pumps that allow the user to generate both pressure and vacuum for precise testing. Please click on the model for full specifications. 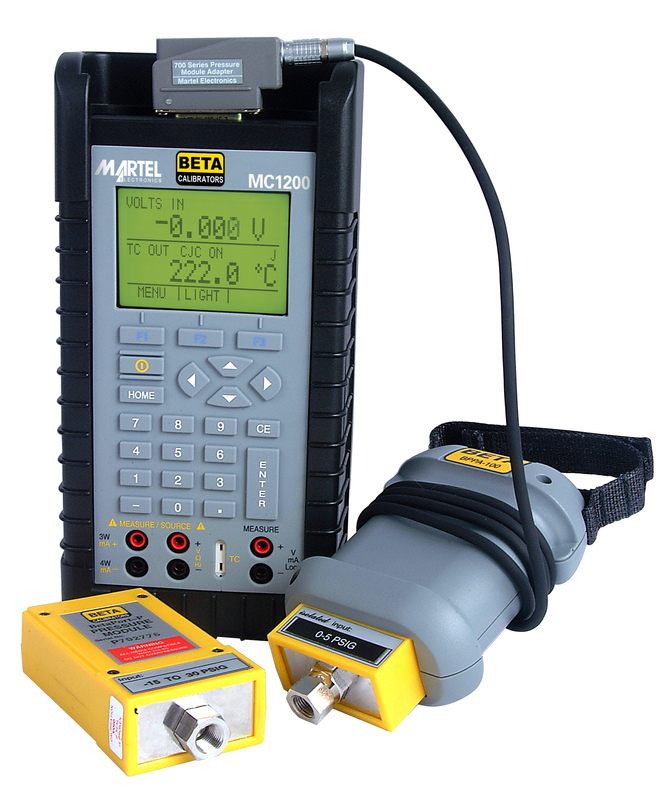 Complete product information and spec sheets are available on all Martel / Beta Calibrator Products. Click here for Summary pdf, or contact us at: products@marshinst.com for aplication assistance or to request a full CD catalogue.